Happy Tuesday!! I’ve been wanting to share these photos for a long time and I’m finally getting around to it! I have to be honest, seeing these photos taken in my old kitchen literally brings tears to my eyes. We miss it so much!!! But our new home is well under-way and we are excited about it! 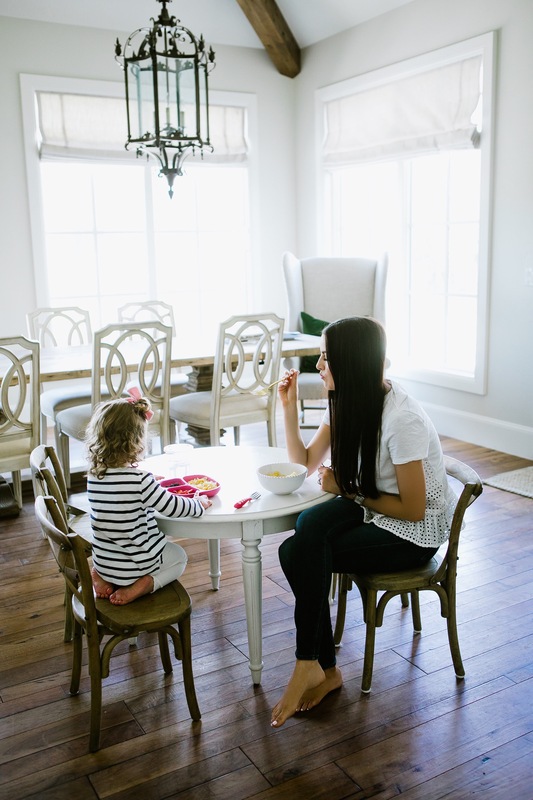 One question I get asked a lot is what my kids like to eat and what meals I like to fix them. Honestly, both Isla and Jackson are great eaters!! 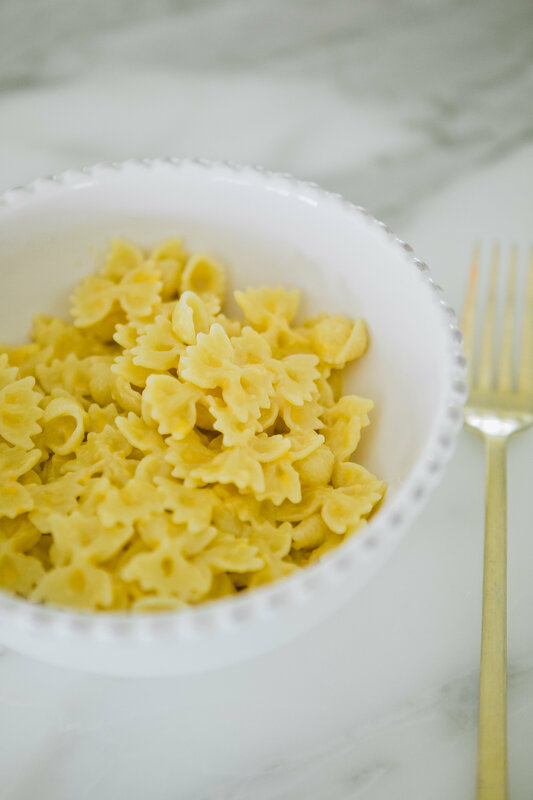 They both love eggs, spaghetti, and especially this homemade Mac & Cheese recipe that I make them at least once a week (I made them boxed Mac & Cheese once and they hated it because they were so used to this recipe!). 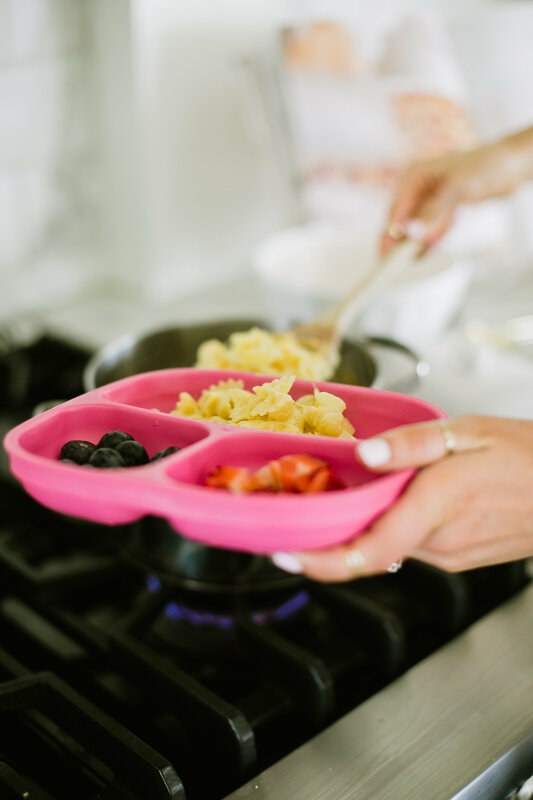 I love it because it’s super easy, it’s a healthier option compared to boxed Max & Cheese and it’s a hit with adults too! Boil the noodles then strain and put back in pot. 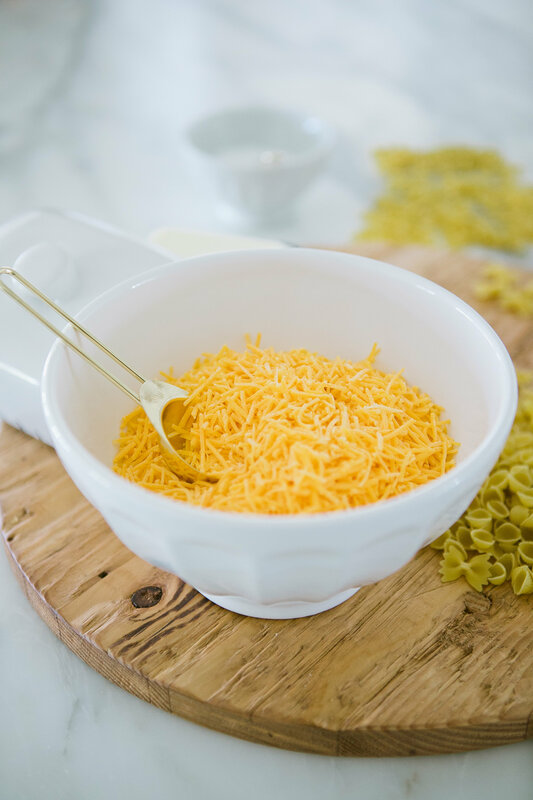 Add butter and 3 handfuls of cheese (or however much you want!). Add milk. Stir together and add a dash of salt. Serve and enjoy! We sometimes like to add grilled chicken, too! 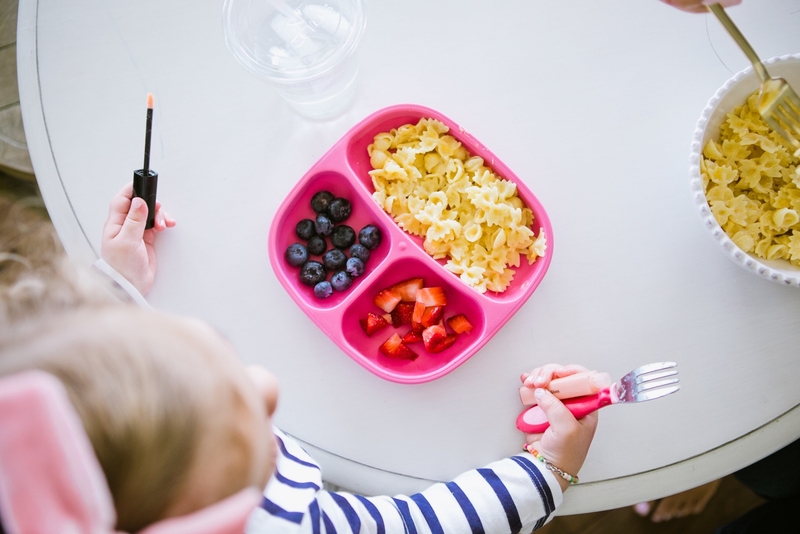 What are some of your kids’ favorite meals? 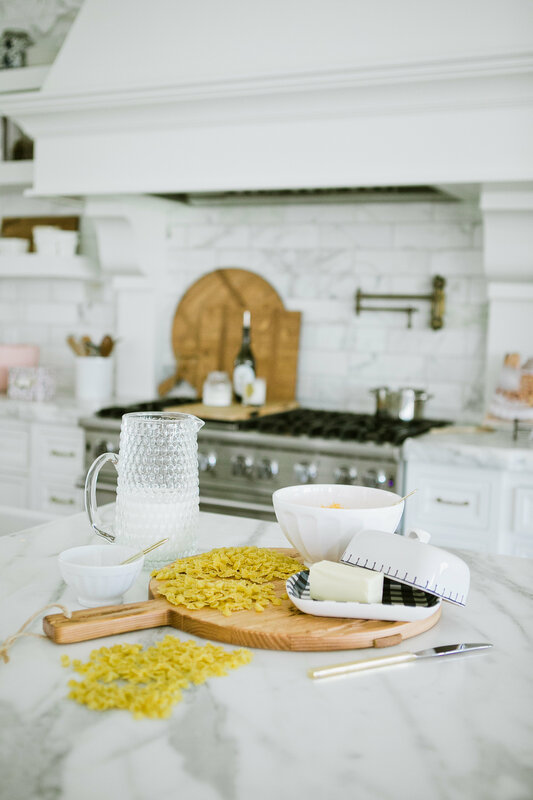 I love to try out new recipes so leave your favorites in the comments below! And don’t forget I’ll be doing my weekly Q&A in tomorrow’s Inspiration Wednesday post. So any questions you have, ask me in the comments and I’ll choose a few to answer! What an easy simple recipe! 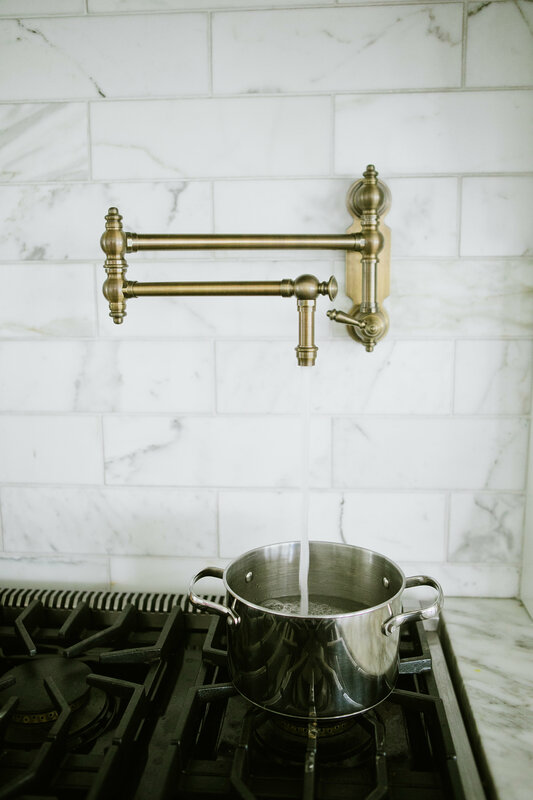 And your kitchen always looks so spotless. 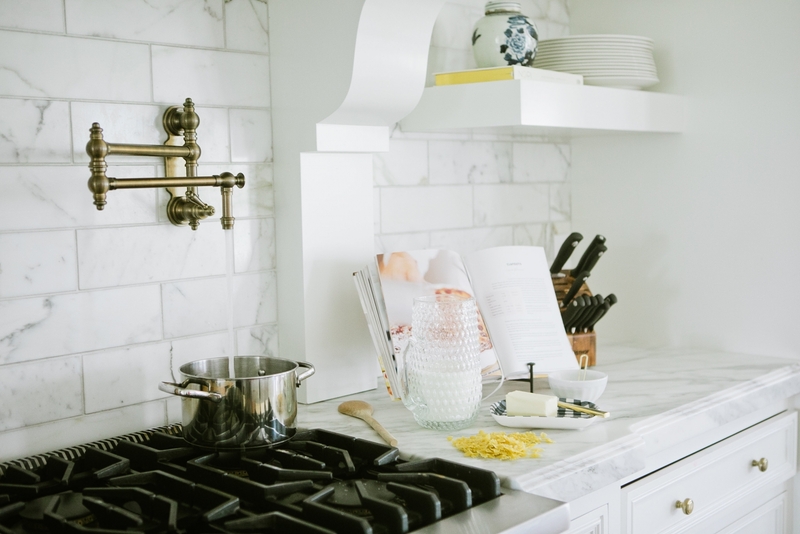 Design by Sydnee | A Lifestyle Blog ? These looks so good! Mac & Cheese is my weakness! Such a QuicK and easy recipe. My kids are very different eaters…one loves beef aNd doesn’t care for dairy and the other one loves dairy (he asks for mac & cheese daily!) but doesn’t care for beef. We make a lot of chicken and Salmon. Oh this dinner really does sound perfect for you guys! Let me know what you think of it! love these cute photos rach! this recipe looks too good! and for next q and a I would love to hear about some of your favorite designer handbags and some dream ones! Definitely going to cook your Mac & Cheese this week for my family. It looks so great! Thank you for sharing the recipe and the lovely pictures. great post and pics Rachel. has something changed on your end with regards to your email posts? one of your followers commented about it on Saturday. I am also one of those who are not getting your email posts anymore either. can you please confirm? have followed you for a while and love your what you do. would love to start getting them again. Thank you for letting me know!! We actually just solved this issue this morning so it should be going out now! Every day I have a new post it should go out at 6am. Let me know if this isn’t the case! Looks so good! I’m going to have to try this recipe out. Also, I was curious what made you want to start your own clothing line. I would love to have my own line/online boutique one day. I need to try this for my hubby soon! Fall is the best time for comfort food. This looks yummy :-) can i ask where is the adorable plaid butter dish from? Yes!! Sorry for the confusion! I love how easy this recipe is!! I try giving pesto or marinara pasta with daSh of garlic salt in it. I also make home made quEsdilla. Great rEminder thaT most Boxed meals/baked goods are so simple to make from scratch and alWays taste so much better homemade! Also, the sense of accomplishment felt when we feed our babies the way our mothers aNd grandmothers did is so worth the extra bit of effort. ? This looks so delicious and so easy to make! I am definitely putting this in my arsenal for future quick meals! 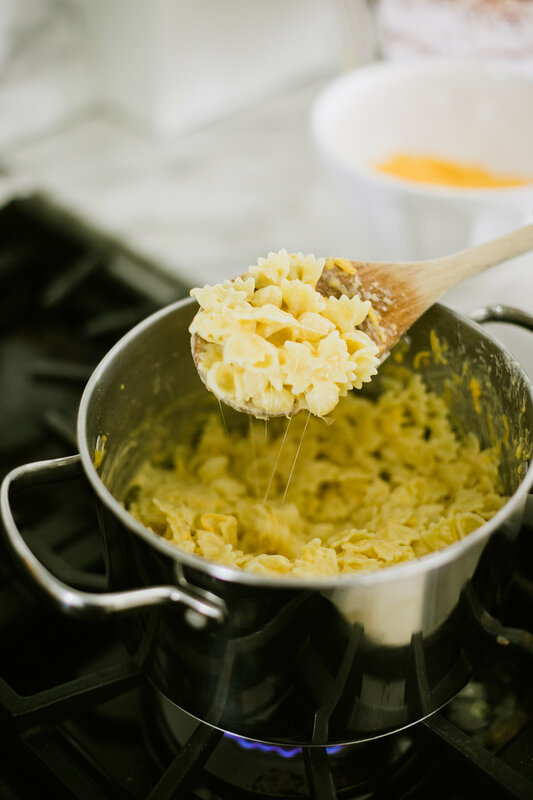 OMG I Love mac and cheese…will definitely be trying this! This lOoks amazing! 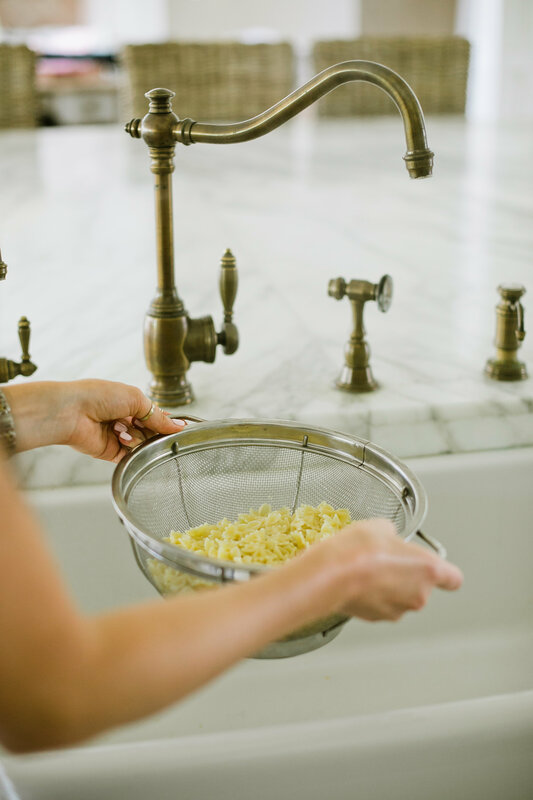 Do you use bagged cheese or do you get a block and grate it yourself? 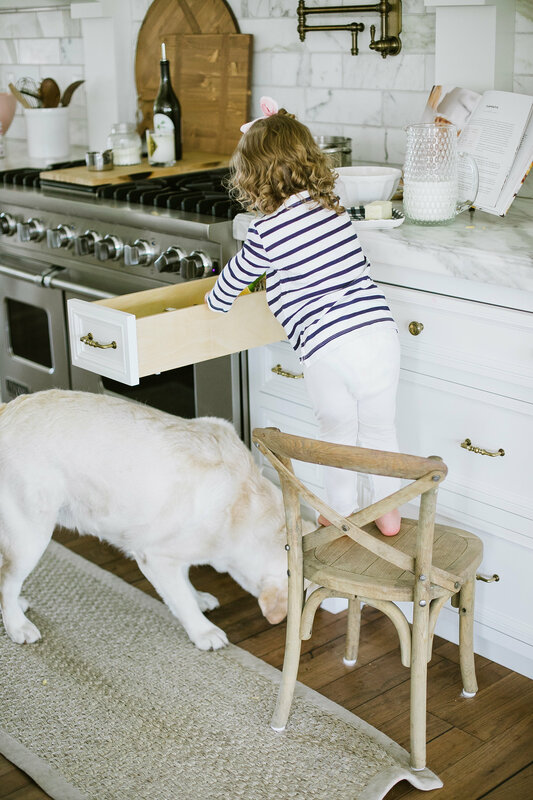 where are your drawer pulls and knobs from? Oh YUMM!!! This looks and sounds so so delicious! THANKS FOR SHARING! This sounds so much easier than my homemade mac and cheese recipe! I can’t wait to try it. I also love the photo with Isla and her lipgloss. That is precious! Rachel, i have been so curious since the time both you and i had babies whether you followed the sleep train methods? Did you rigorously stick to it? Was it a gentle way? I know in your families you have a lot siblings and i wonder if there are any rules of thumb of dealing with inconsistent kids sleep? I wish i knew the secret it looks like whatever it is, must be working:) thank you! Looks amazing! i’ll have to try it. :) I think Andi would love this! This looks so easy and tasty! We’re definitely going to try this out soon! Great recipe and looks easy too! As a busy working mom of a 13 month old, I am still trying to find a consistent time to workout. I aim to workout in the early morning around 5:45-6:00 AM, but my little one wakes up between 6:00-6:30 am, and hitting snooze until then sounds like the better option on most days. I would love to hear about your little ones schedule and morning routine. Hi Rachel – These photos are so sweet and The mac looks delish …I don’t blame your little ones for choosing your homemade version over box! 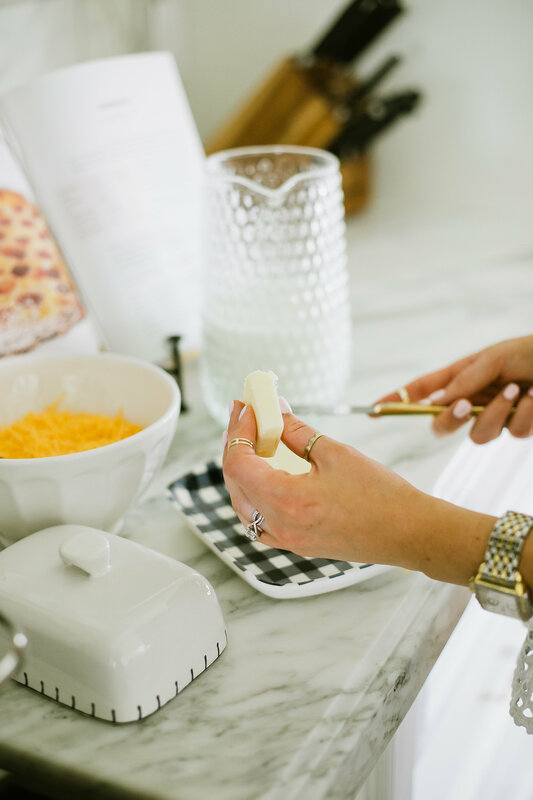 My husband has a weakness for mac & cheese so I’ll be sure to give this recipe a try. This is easy Rach! No baking it just right on the stove top. Mac and cheese is my weakness. I agree that box stuff is no way ??‍♀️Perfect. Is that a Utah cheese I’ve not heard of it before? ? Do you want more children and if so how many more? Makeup tUtorial step by step!! I also want to know how you gEt your children to sleep so late in the morning. What is their schedule? 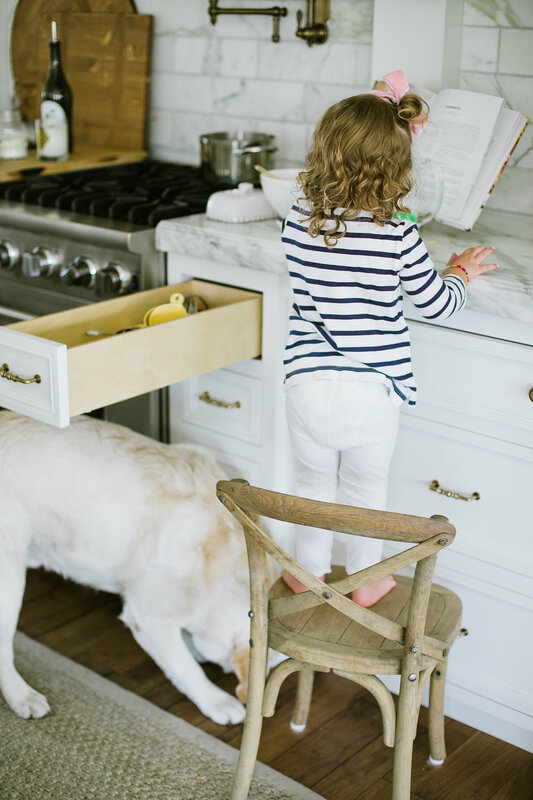 What is the name of your island countertop? I LOVE IT! We are building and this is exactly the look I’m wanting. I made this recipe The day you posted it for my 2 year old’s dinner. I had everything in my fridge already and it was so easy! Best of all, she love it! Thanks! I’m so glad!!! Aren’t they the best?! I tried this recipe , and it came out so good ! It was such a hit :) thank you ! I’m so glad!!!! It really is the best! okay so i already left a comment on here but i had to come back and leave ANOTHER comment because i just made this mac & cheese for my kids lunch today and it was a huge hit! i even ate it and i loved it! so thanks for sharing! 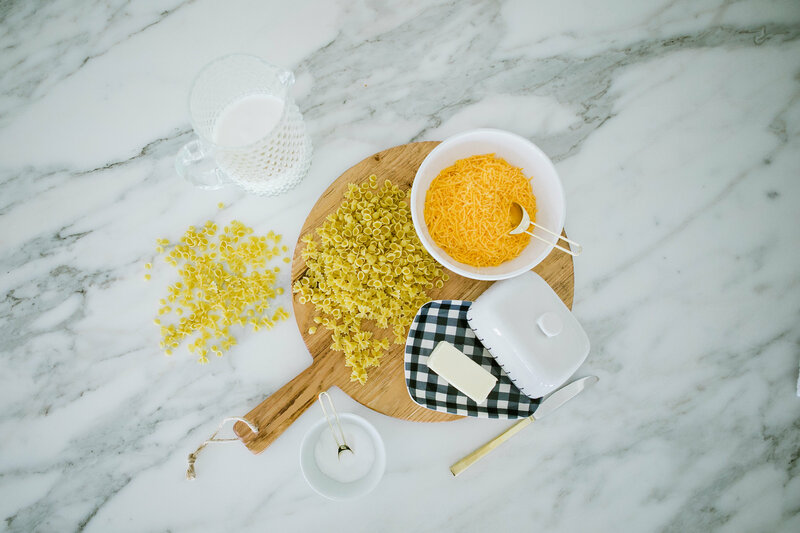 i can’t believe how easy it was to make and so much better for you than what you get from boxed mac & cheese! 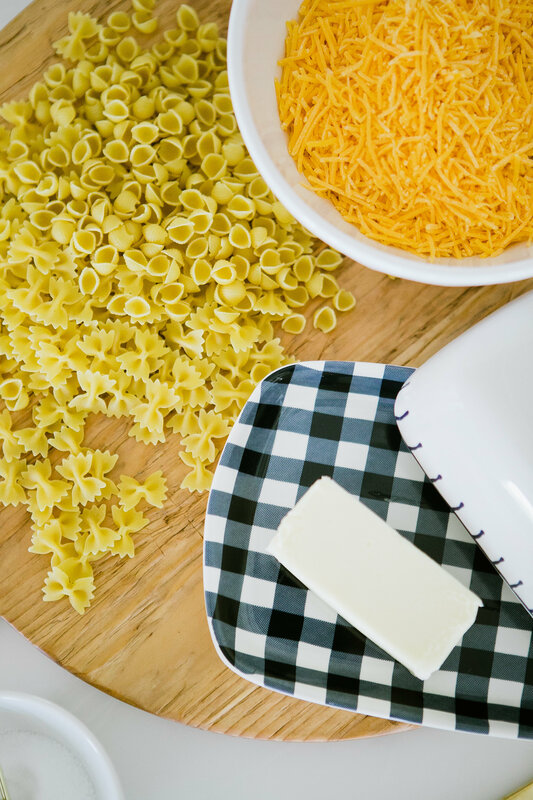 you should share more simple recipes you do for your kids! this was a huge help! My kids love this recipe. Thank you so much for sharing! !